Managing your digital branding efforts is a time-consuming process, but 100% necessary if you want to convert your target audience. In this post, I’ll tell you everything you need to know about managing your digital brand in 30 minutes a day! Let’s face it. Keeping up with the latest digital trends is challenging. You have your target audience engaging with your content, asking questions, and writing reviews about you all while you sleep. 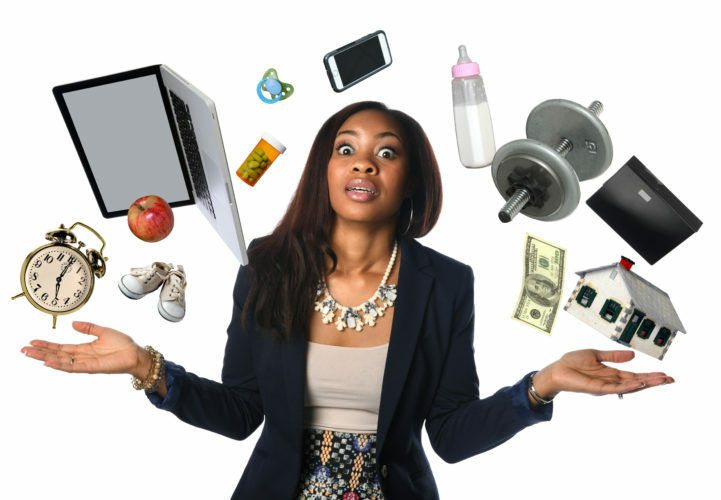 Then you are expected to manage all of this on top of your other daily responsibilities. That’s why I created this comprehensive blueprint that will help with your digital brand management is just 30-minutes a day. And you get it all for FREE.99! Before I provide you with the blueprint, I need to give you some context behind the activities you will execute on a daily, weekly, and monthly basis. If you are unsure about the three tenets of digital branding: It’s your digital identity, visibility, and credibility. The purpose of this blueprint is to get you focused on each tenant as apart of your daily tasks. The best way to build or enhance your identity is to create, curate, or repurpose content that is aligned with your brand. You cannot spend all day creating content. Right? You should focus on developing content quickly so you can focus on other aspects of our business. Let’s focus on search engine optimization (SEO) and digital advertising. A critical part of your visibility is your audience’s search engine results. Being listed at the top of search engines will not only help increase your visibility but it conveys that you are aware of your target audience’s needs and understand their search behavior. It is important to focus on seo in your digital brand management process. Digital Advertising also contributes to your visibility as well. With a strong digital advertising campaign, you can create highly targeted campaigns that help convey brand identity and increase visibility. Understanding what is being said about your brand online is essential. A brand can look like everything is going really well, but after examining your credibility, you may find that you’re missing the mark. Negative online customer reviews can not only hurt your brand, they can also impact your search engine rankings, and strongly influence many buyers’ decision-making process. That’s why it’s critical to include this in your digital brand management process. The rule of thumb when managing your digital brand is consistency. STICK TO YOUR PLAN! This includes any guidelines and goals attached to that plan. This plan is broken down into three main parts. Daily Activities. There are things you should do every day to promote your digital brand. Weekly Activities. Daily activities are important, but you should really plan ahead. Monthly Activities. The farther you can plan ahead, the great the advantage you have. 1. Set Your Goals. Never overlook your goal setting. It is an important starting point in your digital brand management. Besides, the impetus of digital branding is conversion and you need to set goals to solidify the process. 2. Engage Followers. Spend time engaging with your followers. This might involve commenting on a post or posting something on social media directly. Let your audience know you’re alive. It will increase your brand health perception. 3. Instigate Engagement. Get your audience involved. Get them speaking and invested in your brand. 4. Share the latest and most interesting content. This not only gives your audience a better idea of your brand’s interests but also something in which to engage. 5. Set your plan in action through your social media management tools. To maintain an interested following, reply to followers, mentions, and blog comments. This is the most interactive method of building connections with your audience and doesn’t take much time. These few words of wisdom from Pam Moore points out how important your time investments into social media are. Every second invested in communities and the people part of them will only end up benefitting you by gaining their attention, so you may offer them your services. In other words, 30 minutes of engagement a day is plenty when managing your digital brand to maintain your identity and build a following. Content keeps people interested in your brand and it helps maintain the credibility. An active, knowledgeable site, demonstrated through content, signals your audience of your commitment to a knowledgeable and credible digital brand. So, how do you go about getting content in 10-30 minutes every Friday? Get focused. Dedicate this time with no distractions to find maximum efficiency in content creation. Get creative. Content comes in many forms: blog posts, videos, live streams, graphics, etc. Get a plan of action. Be realistic. Find how much time it takes you to write a full post and determine a realistic action step you can accomplish in this time. Try Byword and Hemingway Apps to help you write more efficiently. CoSchedule Headline Analyzer is useful in writing headlines to drive traffic and improve search results, giving you the most for the least amount of time investment. This tool detects any changes on the internet in relation to specific keywords and notifies you of the changes. Specifically, you can monitor your digital brand by being notified when your brand is mentioned online. It will direct you to that site where it was mentioned. Do this every Friday by simply checking these results in your inbox and seeing who is talking about your brand. Monitoring your brand involves better understanding your digital brand through the eyes of your audience and competitors. Monitor your brand to find out what people are saying and how you can analyze the data for your benefit. Google Alerts is a fantastic tool for this practice where you can stay up to date with your brand mentions across the Internet. Why do reviews matter? They’re very important because they’re part of your businesses image and credibility. This is how people learn about your digital brand and learn to trust it. In addition to Google+ Local, LinkedIn and Facebook both offer review and endorsement opportunities. DBI TIP: Social Engagements also contribute to your credibility. When using social engagements for digital branding we must consider overall user experience and focus on transparency and trust. If you are attentive to your followers and respond authentically, you will naturally increase your credibility. Many industry-specific associations, organizations, and directories offer reviews on their sites. Simply search for a list of industry-specific review sites for you to consider during your digital brand audit. DBI TIP: Once you have identified the review sites that are important for your brand, create an account on these sites and complete your business profile. I suggest doing this at the start of the month to get a general view on how your accounts are performing and draft plans accordingly. You can look for data such as trends and topics, networks, time, day share, and the type of content that is shared. You can also research on what’s working and what’s not. Don’t forget to adjust your goals and Plan your content. After you have a clear idea of your data and analytics, you should optimize your social media goals accordingly. Always maintain a schedule of content for the following month and make sure the previous month’s quota was reached. When looking back in a monthly review, try and see how you can make the process more efficient. 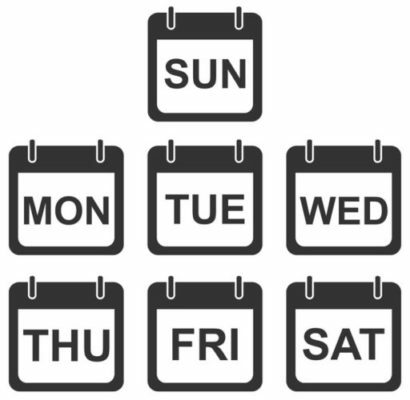 When looking ahead, plan out content every day for a month or weekly or bi-weekly (depending on your posting needs). With this, you can stay ahead of content creation on your blog and reinforce your brand identity. Your digital brand is only as strong as its reviews and ratings. This is where stats come in. Monitor the stats such as views, pages viewed, reviews, and ratings. This will help you define a better plan of action of the future to make sure your digital brand stays on top of the search engine and the head of your industry/niche. Managing your digital branding efforts is a time-consuming process, but 100% necessary if you want to convert your target audience. Create a digital brand management plan that focuses on your daily, weekly, and monthly activities..
Remeber, the impetus of digital branding is conversion and you need to set goals to solidify the process. Spend time engaging with your followers to increase your brand health perception. Get your audience involved and invested in your brand. Keep your digital brand relevant by continuing to share the latest and most interesting content. Once you make this a daily task, you’ll notice it will become easier to convert your target audience and build the brand that you’ve always wanted. Now get to it! Is Emotional Storytelling the Future of Branding?